RNB Commercials Ltd is a forward thinking company, with over 20 years commercial experience of working with blue chip companies and independent vehicle operators. We are proud to be the largest VOSA test centre in the North West, completing over 4,000 tests each year. The site offers a fully accredited DVSA ATF Centre, 4 Bay Workshop, Tacho Centre, 3 Bay Bodyshop and a dedicated 4-5-7 MOT Centre. Our business operates from a 2.25 acre, purpose-built site, in Skelmersdale, Merseyside, where we are ideally placed to service the M58, M6, M62 and the larger North West motorway network. The company was incorporated in April 1996 with RNB Commercial’s operating from Pimbo, Skelmersdale. RNB Commercials acquired a 5 acre site in Gillibrands, Skelmersdale which required redevelopment. 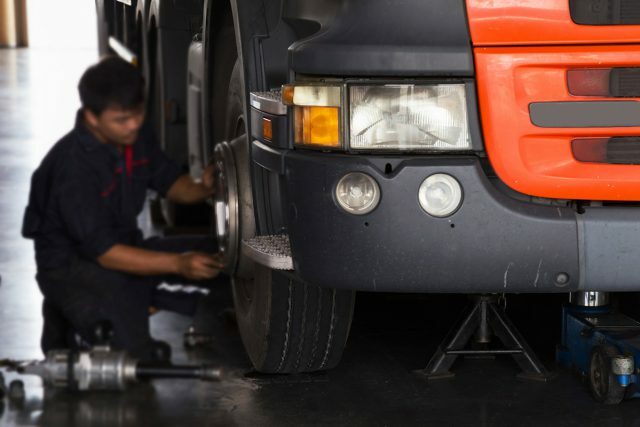 Within two years, a purpose-built site comprising of vehicle maintenance workshops, including a VOSA designated premises test centre had been established. As the company celebrates its 10 year anniversary, RNB are now offering a range of services to include; a HGV testing centre, a fully equipped three bay workshop, a three bay bodyshop and three mobile service vans. An additional MOT test lane had been commissioned in line with the government changes to the transport sector of VOSA – ATF upgrade. A new 18ft bay had been commissioned to cope with the new tall trailers being manufactured. A Tacho bay had been established and the class for 4-5-7 testing incorporated within a newly purchased building. New administration offices were developed within the new building and high-grade technology was incorporated within the business. 21 years after being established, RNB Commercials had grown to an operation with over 30 employees and are testing over 4,000 vehicles per year. In April 2017 RNB Commercials was acquired by new directors who brought with them a breadth of commercial experience and over 65 years combined experience in the commercial transport industry.